Name- GOCCIA Hand-painted Polka dots on the glass bubble, filled will tiny glass sand. Size- Chain Length: About 61 cm long ＋ 8 cm adjustable chain Charm Diameter: About 2cm(w) 4cm(l) Total Length on neck: 61-69cm Materials- Charm: Glass Chain: Nickel free Gold Plated About Cinesina- Cinesina - in Italian - means “a little Chinese girl”. A new independent hand-made jewellery brand based in Hong Kong. 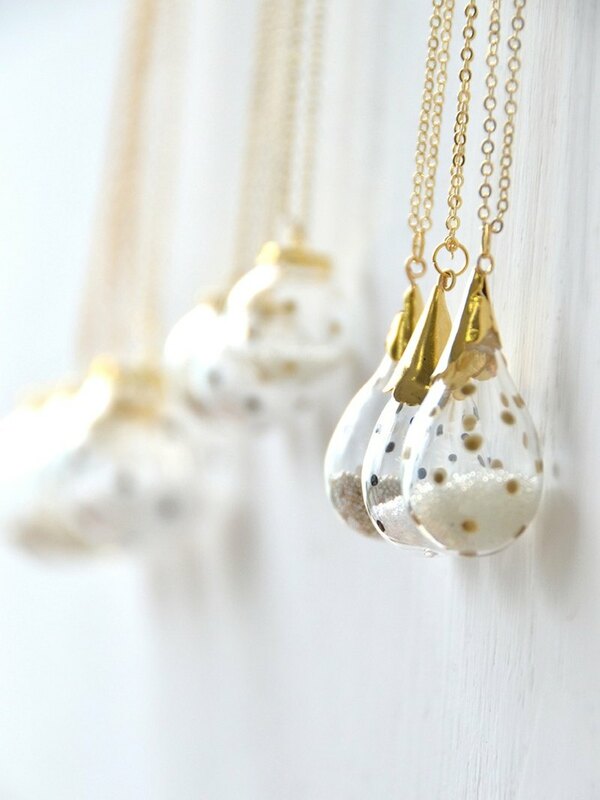 We designed a range of hand-made jewellery, inspired by polka-dots and rounded bead in different materials. We re-created our jeweleries in modern and simple presentation with a touch of cuteness.